New Jersey has brought in over $1 billion in revenue in sports betting since it was made legal last year. 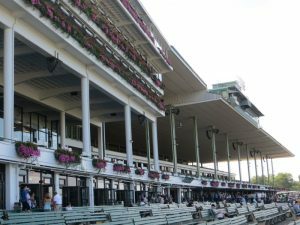 Monmouth Park Racetrack in Oceanport alone made millions – but the owners say that they need more revenue to survive. They are banking on a subsidy from the state to contribute to racing purses. The $20 million subsidy has been approved in the state Legislature. But now the horse racing industry is waiting for lawmakers to vote on it. Monmouth Park officials say the subsidy is important for scheduling. A higher purse means better talent coming to race. Officials say they are used to waiting. They are forced to make changes every year to benefit races, including the date of the Haskell Invitational – one of horse racing’s most well-known races. But critics have labeled the proposed taxpayer-funded subsidy a “bailout” and are questioning how a state with perennial budget problems could afford to cover the annual payments that would be promised under the proposed legislation. Horseracing has long been a part of New Jersey’s sports landscape, with Freehold Raceway and Monmouth Park both tracing their roots to the 1800s. Both tracks are still operating today, and the state’s other remaining horse track is in the Meadowlands, where races started being held in the 1970s. The curtain closed Sunday on a successful Monmouth Park season with the racetrack showing across the board gains in attendance and handle for the 50-day meet, which commenced back on May 13, 2017. On-track wagering averaged $424,556, a 7.9% increase over last year’s average when the track ran 57 days. Simulcast handle showed a slight increase to average $3,050,257, which represents .4% more than last year’s average. Attendance was up 7.4%, with an average of 9,234 fans pouring through the gates daily. Top training honors went to Jorge Navarro, who captured his record-tying fifth consecutive title. Navarro sent out 65 winners at the meet, besting the all-time record he set last year with 59 winners. Leading jockey was Nik Juarez, who won 75 races en route to capturing his first Monmouth title. Hector Diaz Jr., who arrived in New Jersey in June, was leading apprentice, piloting 30 winners, good for fifth in the overall standings. And, top owner was John J. Brunetti’s Red Oak Stable, who won 13 races this season. The 2017 season marked the sixth since Darby Development began operations at the racetrack. Since that time, the facility has seen the advent of the very popular Blu Grotto restaurant, the opening of the Blu Grotto Beer Garden, Blue Grass Mini Golf and the William Hill Race & Sports Bar. Operations off-track have expanded to include the Hillsborough OTW and exchange wagering, making New Jersey the only state to offer this innovative form of gaming. Live Thoroughbred racing continues in New Jersey at the Meadowlands on Sept. 22 with eight all-turf programs. LEXINGTON, Ky. (June, 2017) – Summertime brings with it an acceleration in the number of on-track National Horseplayers Championship (NHC) qualifiers, which frequently offer large cash prize pools along with berths to the world’s richest and most prestigious handicapping tournament. Registration is now open for rich tournaments coming up in the next few weeks at Woodbine Racecourse, Santa Anita Park, Monmouth Park, Del Mar, and other top contest destinations around North America. The first-half NHC Tour season will conclude on July 30. The top 5 finishers of the first-half NHC Tour Leaderboard will receive full 2017 Breeders’ Cup Betting Challenge berths. SATURDAY – Woodbine Sprint Meet Handicapping Tournament – Two berths to NHC 2018, estimated $20,000 prize pool, entry $150 ($50 bankroll + $100 to prize money). JUNE 30-JULY 2 – Santa Anita Three-Peat Handicapping Contests – Three days of one-day contests on closing weekend at Santa Anita, with 100 percent of entry fees paid back as cash prizes. Day 1: two berths to NHC 2018, $30,000 estimated prize pool, $700 entry ($400 bankroll + $300 to prize money). Day 2: five berths to NHC 2018, $100,000 estimated prize pool, entry $3,000 ($2,000 bankroll + $1,000 to prize money). Day 3: five berths to NHC 2018, $100,000 estimated prize pool, entry $3,000 ($2,000 bankroll + $1,000 to prize money). Cash bonuses of $50,000 for winning two of the contests and $250,000 for winning all three. JULY 2 – Monmouth Park $250 Handicapping Contest – Two berths to NHC 2018, estimated $20,000 prize pool, entry $250 ($150 bankroll + $100 to prize money). JULY 8 – Arlington Handicapping Challenge – Three berths to NHC 2018 plus berths to other major handicapping contests, no entry fee, $2,000 live bankroll. JULY 8 – Belmont Park Stars & Stripes Challenge – Two berths to NHC 2018, guaranteed $5,000 first-place prize, entry $500 ($300 bankroll + $200 to prize money). JULY 14-16 – Surfside Race Place at Del Mar One-Day Contests – Three one-day contests, two berths to NHC 2018 each day, guaranteed $16,500 prize pool each day. Day 1: advance entry $340 ($40 bankroll + $300 entry fee). Day 2: advance entry $500 ($200 bankroll + $300 entry fee). Day 3: advance entry $340 ($40 bankroll + $300 entry fee). 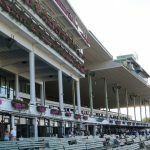 JULY 22 – Monmouth Park $250 Handicapping Contest – Two berths to NHC 2018, estimated $20,000 prize pool, entry $250 ($150 bankroll + $100 to prize money). JULY 23 – Lone Star Park Handicapping Championship Series, Second Chance – Two berths to NHC 2018, estimated $7,500 prize pool, free to play. JULY 29-30 – Del Mar Challenge – Eight berths to NHC 2018 plus berths to other major handicapping contests, estimated $300,000 prize pool, entry $7,000 ($5,000 bankroll + $2,000 to prize money). JULY 29 – Woodbine Mid-Summer Handicapping Tournament – Two berths to NHC 2018, estimated $25,000 prize pool, entry $500 ($250 bankroll + $250 to prize money). Prize pools are estimated and will be adjusted on a sliding scale in accordance with the final number of entries. For the full calendar of upcoming NHC qualifiers, including links to details on how to enter, visithttps://www.ntra.com/nhc-events. For additional information on the NHC and NHC Tour visit www.ntra.com/nhc. 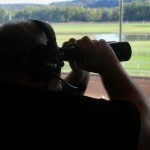 In its 19th year, the NTRA National Horseplayers Championship (formerly known as the NTRA National Handicapping Championship) is presented by Racetrack Television Network, STATS Race Lens and Treasure Island Las Vegas. Equibase is the official data provider of the NHC and NHC Tour. 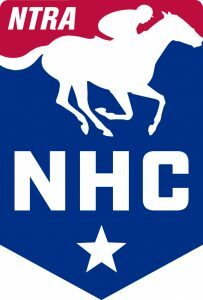 The NHC is world’s richest and most prestigious handicapping tournament of the year for horseplayers and is the culmination of a year-long series of NTRA-sanctioned local tournaments conducted by racetracks, casino race books, off-track betting facilities and horse racing and handicapping websites, each of which sends its top qualifiers to the national finals. Each year, the NHC winner joins other human and equine champions as an honoree at the Eclipse Awards. The most recent NHC offered record prize money and awards totaling more than $2.9 million. NHC 19 will be held February 9-11, 2018, at Treasure Island Las Vegas. The NTRA, based in Lexington, Ky., is a broad-based coalition of more than 100 horse racing interests and thousands of individual stakeholders consisting of horseplayers, racetrack operators, owners, breeders, trainers and affiliated horse racing associations, charged with increasing the popularity, welfare and integrity of Thoroughbred racing through consensus-based leadership, legislative advocacy, safety and integrity initiatives, fan engagement and corporate partner development. The NTRA owns and manages the NTRA Safety and Integrity Alliance; NTRA.com; the Eclipse Awards; the National Handicapping Championship; NTRA Advantage, a corporate partner sales and sponsorship program; and Horse PAC®, a federal political action committee. NTRA press releases appear on NTRA.com, Twitter (@ntra) and Facebook (facebook.com/1NTRA). You’ll want to keep your eyes peeled for some runners who didn’t get the kindest trips. Just follow them right back, and a big payday could be just around the corner. Pepite (BTP Race #4, 8/7/16 – #1 – – 1 1/16 on the turf) – Fresh off the claim for “Chip” Brownfield, and for a turf course that plays kind to speed. This son of Pulpit was fanned eight wide at the top of the short stretch and got up in the shadow of the wire. They haven’t gotten to the bottom of this guy yet, and he looks like a turf runner that has the ability to move up in class. – For what its worth. The same winning connections claimed Aesop from the race who had a bad day and turned in a lackluster performance. His barn is on a mission and after talking with him last night there might be some more claims to come. Brooklyn Bobby (SAR 8/6/16 Race #1 – #1 , 1 1/16 turf) – This son of super horse Frankel shied inward at the start and was checked up sharply. 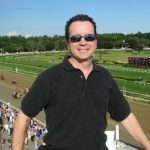 Good works and great connections with Joel Rosario and Brian Lynch have us looking forward. The well-bred two-year-old has the makings of something very good as his sire wins 64% with his first time turfers. We’ll toss this one and file it under being a youngster. This guy has something special and needs to be followed right back. Sport (SAR Race #5 – #5, 1 1/16 on the turf) – jockey Irad Ortiz in the irons with a freshened son of Hard Spun. He had been away from the races for 55 days and has solid works to signal his readiness. He bumped around leaving the gate and stuck behind a wall of horses under a hammer-lock waiting for room. He was full of run and had no place to go. He has the look of a runner who may wheel right back and score. Comfort (SAR Race #10 – #2 – Comfort – (G-1) Whitney – 1 1/8) – Johnny V and Pletcher brought this son of Indian Charlie to the paddock. He was facing a monster in Frosted but what he showed gives me great hope moving forward. He checked leaving the starting gate and while in the two path he showed great late acceleration. Maybe facing anyone but Frosted would be a blessing or could he be that upset runner in the wings ? Time will tell and he’ll give em’ fits next with a clean trip. Anchor Down (SAR 7/30/16 – Race #9 – #1 – 6f on the dirt) – Jose Ortiz had the call for Todd Pletcher and was coming off a 49 day layoff and turning back from a string of mile of races to go six panels. Now he has two starts with two ITM finishes at this distance, but this race looked like they have something in mind later in the season. – He was bumped soundly at the start and just mailed it in from there. – I can’t wait to him return to the races as his works were strong coming in and a little bad luck dampened his day. King of Spades (SAR 7/28/16 – Race #6 – #9 – 1 mile turf) – Florent Geroux was far back with slow fractions. He came rolling late in the lane to catch the eyes of handicappers far and wide. Fresh off a maiden win and maybe a little more ground could be in his future. Either way, if he finds a way to stay in contact with the field he may be one to get some good payback. El Talento (SAR 7/30/16 – Race #1 – #3 – 5 1/2f turf) = Johnny V aboard this first timer for the Pletcher barn and was bumped at the gate break and stalked just off close to the leaders. Once the rider settled his mount he had to check off heels at the 3/16 th’s pole and still managed a solid effort for third money. Moonshine Promise (MNR 8/6/16, Race #1 – #8 – 6f on the main track) – DeShawn Parker had the Cleveland invader in the catbird seat and rated well. He fanned out six wide making a late bid and his late turn of foot is what caught my eye. He may pop up at Thistledown, or right back Mountaineer. I’m looking for a mid-range stake that will have him in the right place ready to roll. Birdatthewire (MTH 7/31/16 – Race #10 – #6 – 1 1/16 dirt) – Victor Lebron had the call and hesitated strongly going into the starting gate. This was her second start off a brief layoff and all systems looked go. Maybe she didn’t favor the track as it was her first effort over the slop. She exited a beaten favorite in the (G-1) Princess Rooney, and the drop in class had heavily backed at the windows. Give her a fast strip and the outcome may be a whole new game. Sunny Ridge (MTH 7/31/16 – Race #12 – #2 – 1 1/8 on the dirt) – Nik Juarez had the call in the Haskell Stakes and his mount was 2/2 with wins over the course. He also owned two nice second place finishes on a soft track. Go back and really watch the race closely. He may not have beaten the fast closing Exaggerator on his favorite type of track, but he was behind a wall of horses at the top of the lane with no place to go. Once they squared away for the stretch the drive the tempo quickened and he had angle out and found late energy to finish a game third. Maybe this level was a notch above his liking, but play this one back with full confidence if he finds himself in a (G-2) or (G-3) effort. Go back to the Delta Jackpot and you see him rolling late in the lane getting beat by Exaggerator. 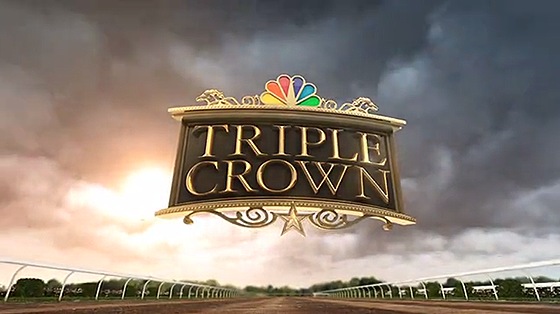 Triple Crown champion American Pharoah returns in style! 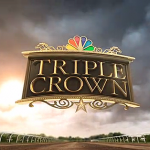 Triple Crown champion American Pharoah absolutely toyed with the field in the 2015 William Hill Haskell Invitational Stakes, a race he could have easily won by the length of the stretch. He stalked the swift pace of a very legitimate horse, Competitive Edge, and took over under a complete strange-hold by jockey Victor Espinoza. American Pharoah, a son of WinStar stallion Pioneerof The Nile, is trained by Hall of Fame trainer Bob Baffert. Monmouth Park Opens. Here’s What’s New. OCEANPORT — On the eve of its Opening Day race program, workers at Monmouth Park were putting a fresh coat of paint on railings, cleaning the seating areas and prepping the one-mile oval for a 58-day meet that begins Saturday and continues through Sept. 27.